Born 28-02-1920 in Liege, Belgium. Parents Charles Jean and Marie Hortense Josephine Devignez nee Bultot from Liege, Belgium. 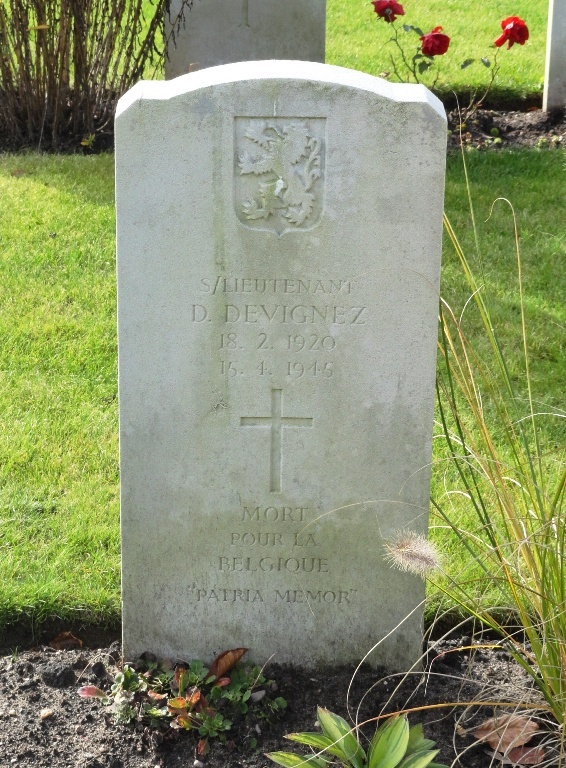 Denis was the youngest in the family of six children, he grew up in Liege. His mother died in 1924 and his father in 1931. During Operation ‘Chauser ‘in France he got wounded on his back at a dropping in August 1944 and he was evacuated by the resistance to a French military hospital. 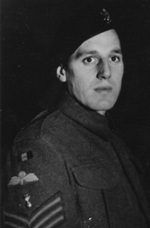 In 1945 he rejoined his unit. 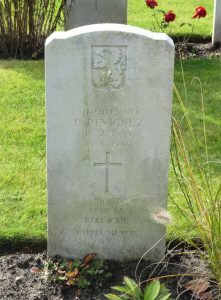 It was during Operation ‘Larkswood’ on Sunday, April 15th, 1945 at Beerta at the intersection Drieborg-Nieuweschans, he was hit by a heavy volley grenades and got badly injured. He was no longer conscious. This happened exactly on the same day he was promoted to lieutenant and a few days before his wedding date. 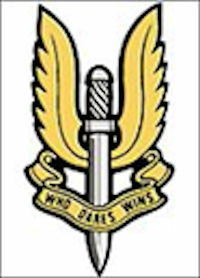 He was transferred to the Canadian Military Hospital in Ootmarsum and died the next day. Temporary grave at the Kuiperberg Ootmarsum until March 1947. Burial: Cemetery Jonkerbos in Nijmegen, Section 5, Row A No. 6. 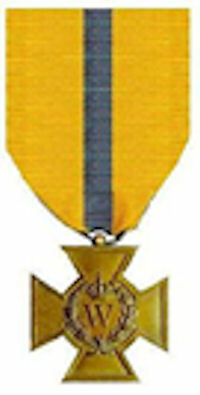 After his death he received the bronse cross. The belgium trainingscentre for paratroopers was named after the lieutenant “kwartier onderluitenant Devignez’ at Schaffen-Diest in 1949. 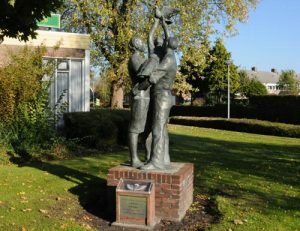 Memorial in Finsterwolde for killed S.A.S. paratroopers Devignez en Wathelet.